Top: felt tip, bottom: powder. 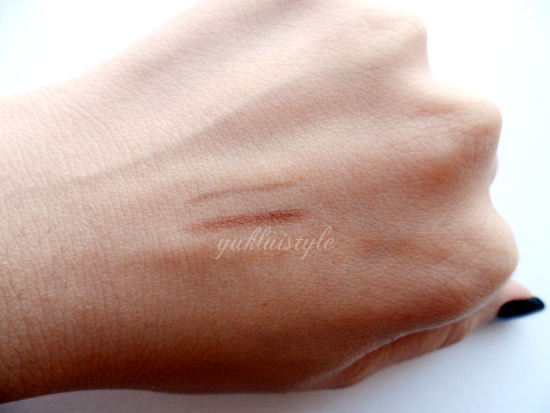 K-Palette is known for their 1 day tattoo eyeliner which I have also bought. Saw this and thought I’d try it out as well. I had bought in Chocolate Brown which is a good match for me according to my current hair colour. 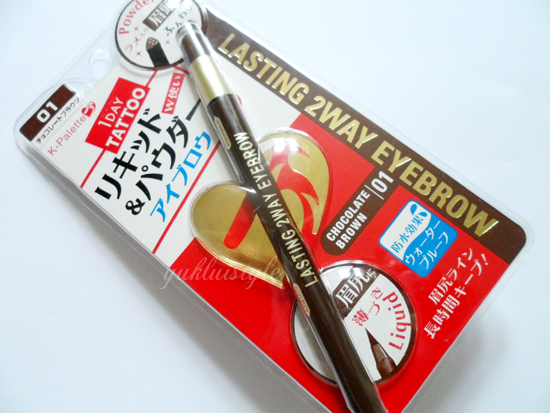 Haven’t tried many eyebrow products, actually, this is the second eyebrow product. From the images above, you can see that that it has both a felt tip and powder feature. Each can be used individually or together. You can see the results above. 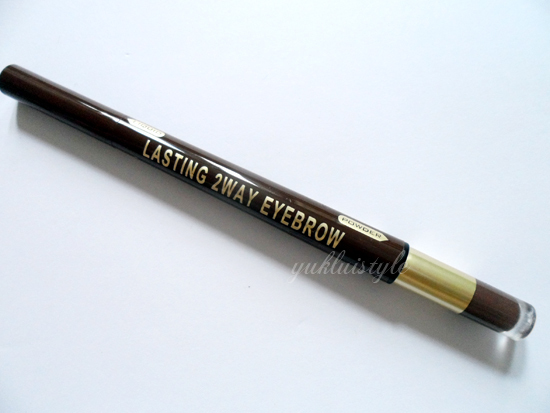 I have very sparse eyebrows so I would need to use both ends to get a fuller defined brow. I use the felt tip pen first then powder over it. Felt tip application dries quick so no need to wait. The powder was used to fill in any gaps the felt tip have left and to add more depth. Powder is a great addition to increase the pigmentation of the felt tip. 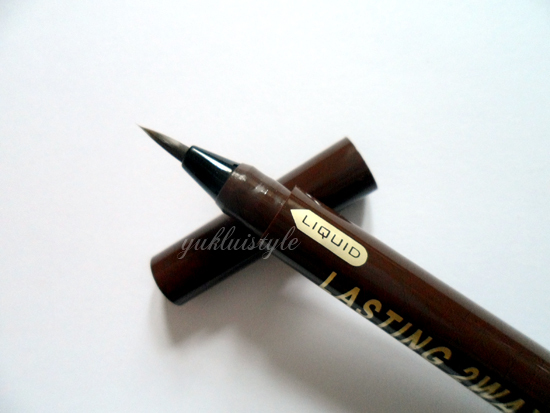 The felt tip itself is easy to use and great for a natural look to the brow as it isn’t as pigmented compared to the powder. Powder sponge tip is easy to use and a little powder goes a long way. Can be smudged easily. 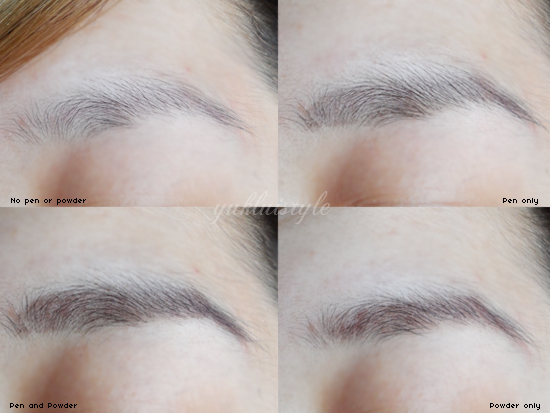 Using one or the other or both can give fuller, natural looking brows. Time wise, it did last long! Accidently ended up sleeping with my make up one when I used this. Disgusting, I know. Woke up and my eyebrows were still there. It wasn’t smudged since my face is oily. Rubbed it a bit and a tiny bit had transferred onto my fingers but that’s no problem. Didn’t interfere with the overall look. 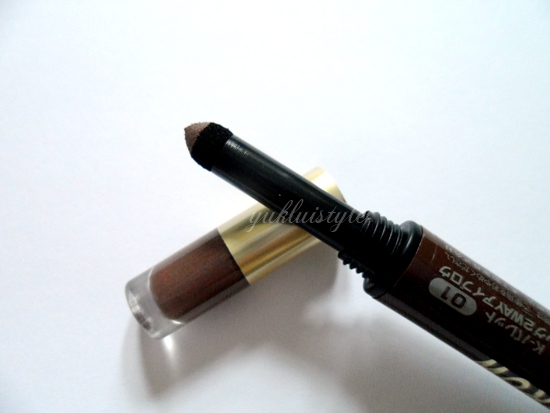 This product comes in another shade, Honey Brown, for fair coloured skin. I would recommend this product! Would purchase this again. is the tip liquid pen? Love the pencil! Thanks for the review!